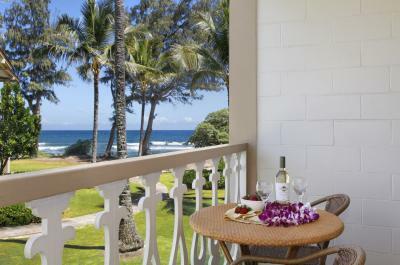 Islander on the Beach has a fantastic selection of studio resort rentals in Kapaa located on Kauai’s East Shore close to a shopping and dining area popular with vacationers. 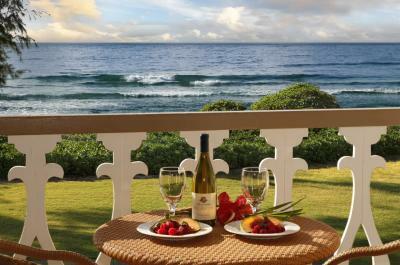 These oceanfront resort accommodations are centrally located and only 15 minutes from the airport. 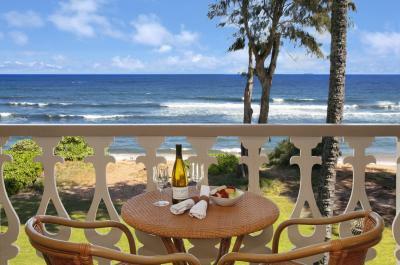 It’s equal distance to Hanalei Bay or Poipu Beach, both are must see beaches that make the island famous. Coconut Marketplace has tons of things to see and do, and it is only a short walk from the Islander on the Beach resort. Check out these ocean view condo rentals at Islander on the Beach, and take advantage of the resort’s pool and jacuzzi, poolside bar, BBQ grills, and lanai. You’ll have plenty of outdoor living space to take in the views of the tropical foliage and beach access to dig your toes in the sand. Give surfing a shot, or lounge in the sand with a great book.